“Game of Thrones” Season 7 has drawn to an end. No! Yes, unfortunately, it is true. 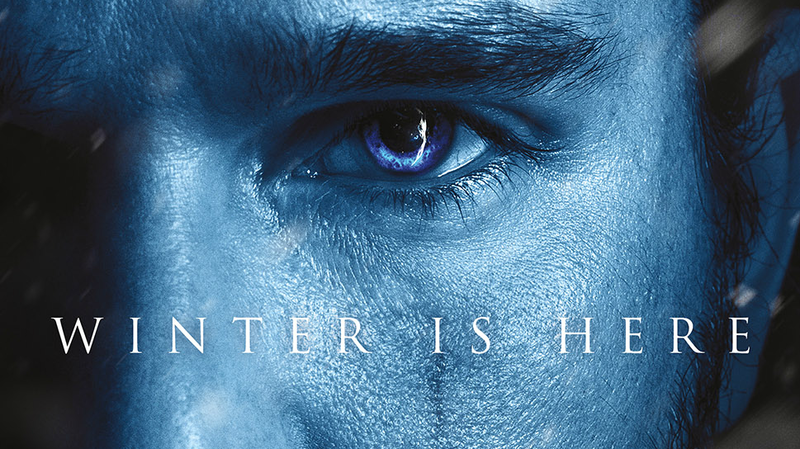 With three fewer episodes than its previous seasons, “Game of Thrones” flew by this year. The good news is that Season 7 was exceptional; an absolute delicacy that united and reunited characters far and wide. Thanks to a newly heightened pace, the season was able to generate multiple momentous milestones. It also provided ample material to write about. 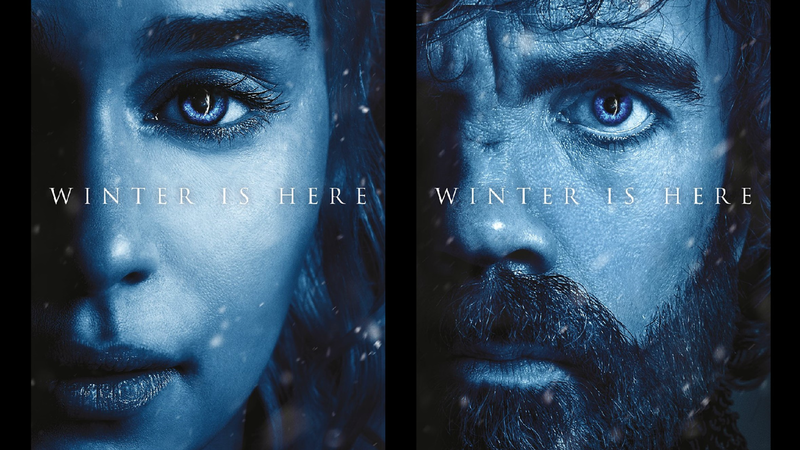 Previous seasons of “Game of Thrones” have historically offered many things to meditate on and Season 7 has been no exception. Here is what I’ve been writing about “Game of Thrones” Season 7 on the Inquisitr. Please be warned, spoilers for the entire season (Episodes 1 - 7) are discussed below. The links to read are in blue. As is typical with any TV drama, Season 7’s episodes left a myriad of questions in their wake. Narrowing them down proved to be a bit of a struggle, however to the series’ credit, there were rarely more than five. The point of this feature was to address burning questions from an episode, the next would hopefully answer. The Season 7 premiere entitled “Dragonstone” elicited questions regarding Arya, Bran, and yes, even Dragonstone. Only the first question was addressed this season, while the other two remain in limbo. The question regarding Dragonstone is unlikely to ever be answered. The third episode of Season 7 (“The Queen’s Justice”) saw Jon Snow (Kit Harington) and Daenerys Targaryen (Emilia Clarke) finally meet. While that episode’s highly-anticipated face-off brought its fair share of fireworks, it also earned its share of questions concerning Varys, Daenerys’ mental state, and Bran’s choice of reunion memories. Did Episode 4 (“The Spoils of War”) answer them? Varys’ knowledge about Jon Snow remains nebulous, as does Bran's reason for selecting such a painful memory to share with Sansa (Sophie Turner). While Daenerys’ mental state or “mad queen” status remained a concern for Tyrion (Peter Dinklage) throughout Season 7, “Game of Thrones” appears to be navigating away from that issue as a definitive threat. The series did use it as a touchstone for tension throughout Season 7, though no one withdrew their support of Daenerys because of it. 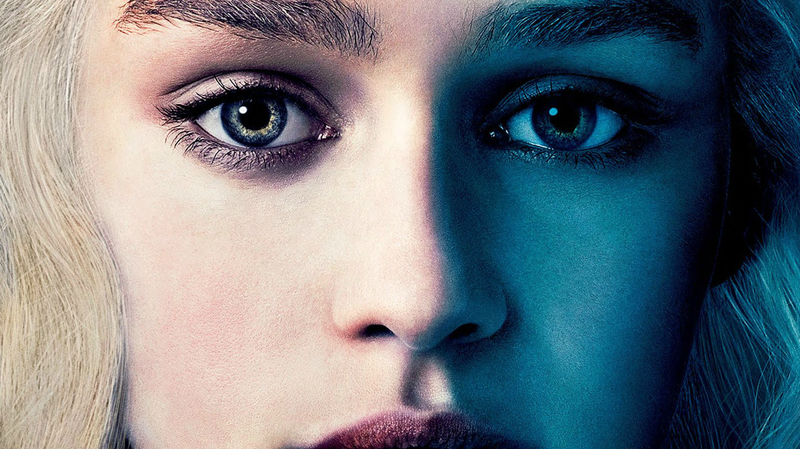 Her behavior in Episode 4; demanding that Jon bend the knee to her, and ignoring his brother’s reign as the King in the North, were eerie hints that Daenerys’ ego was spiraling out of control. There has been no shortage of personal reactions to what characters got up to in Season 7. From the hits and misses of Episode 1 to whether Jon Snow should listen to Sansa, a lot of careful consideration was given to some of “Game of Thrones’” most thought-provoking aspects. There was one topic that’s answer was so obvious, there was no need for a question-posed title. The case for why Jon Snow should never bend the knee to Daenerys was easy to write because the case for his refusal was so apparent. These arguments made Jon’s decision in the penultimate episode of Season 7 even more difficult to reconcile. First of all, he had no reason to cave in. After threatening not to help fight the Night King, if Jon did not bend the knee to her, Daenerys acquiesced after seeing the threat for herself. Based on what she said, she was agreeing to help Jon regardless of his defiance. So why did he give in? There was no need to. Secondly, it was totally out of character. In the previous episode, Jon assuredly stated that he was a “King” and left Dragonstone on his own accord, openly defying Daenerys. So why did he feel the need to give into her? Especially when he had not even told the Lords of the North that he had experienced a change of heart. Making matters more complicated, Arya had been actively defending his authority at Winterfell. How will she feel knowing he has bent the knee to Daenerys? Only time will tell. The season finale did not include Arya's reaction to her brother's newfound allegiance. In Episode 5, Gilly (Hannah Murray) uncovered crucial information concerning Rhaegar Targaryen’s marital status at the time of his death. For fans, the revelation’s implications were pretty easy to comprehend and the season finale confirmed their suspicions when Bran and Sam put the pieces of Jon Snow's parentage puzzle together. In the same episode, Gilly discovered the secret marriage document, the fate of Robert Baratheon's illegitimate son Gendry (Joe Dempsie) was also revealed. Shortly after meeting up with Ser Davos, Gendry met the brother of his one-time traveling companion, Arya Stark (Maisie Williams). Little did Gendry and Jon Snow know, the episode had revealed another connection between the two of them. Do you know what is? Find out if you are right, here. When it comes to writing about “Game of Thrones” half the fun is speculating about what’s to come. What do certain characters know and chosen not to reveal? Who will end up with whom? When it comes to the former question, two characters have historically cornered the market on curiosity; Varys (Conleth Hill) and Littlefinger (Aidan Gillen). Have the spymasters been keeping one of Westeros’ greatest secrets and if so, why? Have Varys and Littlefinger known about Jon Snow? This feature speculates on the mechanics of why Varys and Littlefinger have to know and why they would keep it a secret. With Littlefinger having met his end in the Season 7 finale, it is unclear if we will ever learn whether he knew the truth. Romantic speculation has usually been scarce on “Game of Thrones” for the simple fact that there is usually so little of it. With Jon Snow and Daenerys Targaryen growing even closer to one another, you have to wonder if the loyal Jorah Mormont (Iain Glen) still stands a chance with his beloved Khaleesi. 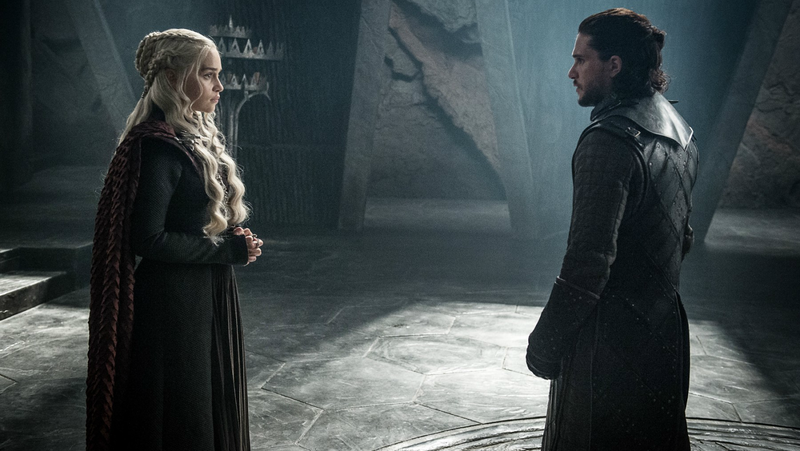 Even if Daenerys explores her connection with Jon, will they be each other’s endgame? Or could Daenerys end up with Jorah instead? Sifting through the history between Daenerys and Jorah, this in-depth look at Jorah’s chances does not provide a definitive answer, though it does present some hope for his romantic prospects. Find out if Jorah or Jon ends up with Daenerys as “Game of Thrones” continues. “Game of Thrones” Season 7 is currently available to stream on HBO GO. The eighth and final season is expected to air sometime in 2018 or early 2019. If you are interested in reading more of my features on the Inquisitr, click here to browse my author profile. Links to every article mentioned above is available below. #7: 'Game of Thrones' Season 7 Episode 7: Do Varys and Littlefinger Really Not Know About Jon Snow? #8: 'Game of Thrones' Season 7 Finale: Could Daenerys End Up with Jorah, Instead of Jon Snow?